If you have recently looked at the cost of tenant improvements or new facility construction, then you are probably aware that construction costs are escalating quite rapidly in the Tampa Bay area. This is a trend that is reflected in most of the major and secondary markets across the country right now. The ENR.com construction cost index (published monthly) is presently showing a 3.3% increase in construction costs at the national level from this time last year. What’s driving the cost increases? Mostly labor expense. 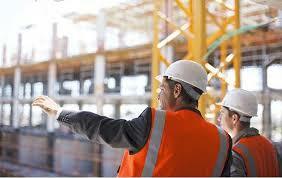 Construction was one of the hardest hit industries during the Great Recession. Over 320,000 construction workers dropped out of the workforce from 2006 to 2008. Now, as demand has picked up for both residential and commercial projects, contractors are having a difficult time recruiting and retaining the labor they need to perform their jobs. This is especially true in the Tampa Bay Region, where our construction workforce went from 94,500 at the peak in 2006 to 58,400 today. Many skilled workers followed jobs in other markets or took positions in other professions in order to make ends meet. Now the local industry needs them and they are not available. That is driving up the cost of construction significantly as labor costs can comprise up to 40% of an average construction project. What does this mean for developers and users of industrial buildings in Tampa Bay? Expect to see the this labor shortage trend show up in the form of higher occupancy costs such as rent, tenant build-out and overall construction costs as current available inventory is absorbed and new construction projects are initiated.